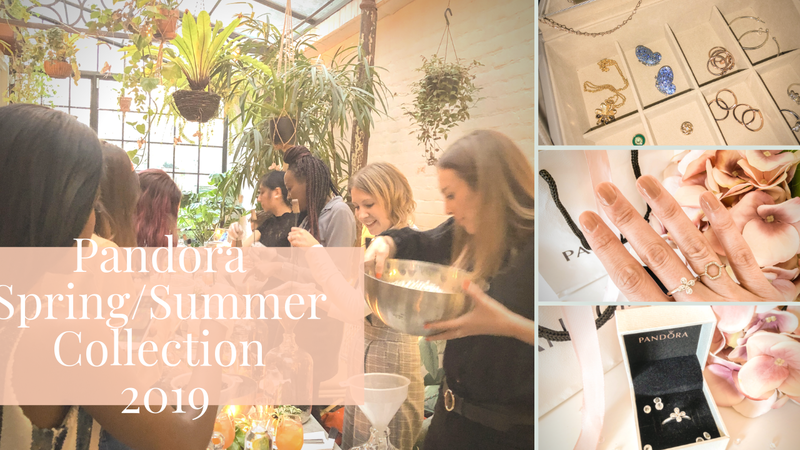 A couple of weeks ago I was invited to a lovely event in London - a spring celebration in honour of Pandora's new spring/summer jewellery collection. 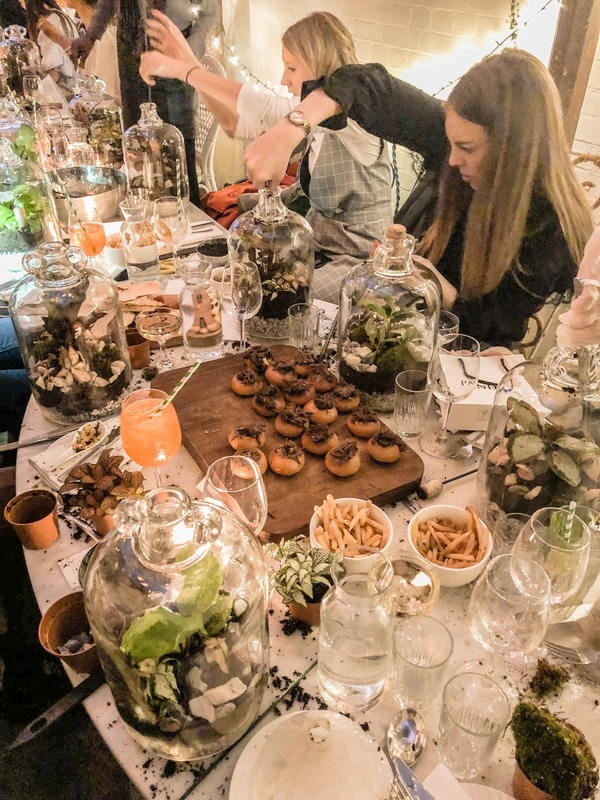 Held at the beautiful Bourne and Hollingsworth Buildings in Clerkenwell, the garden theme was in evidence as soon as I walked through the door, perfectly in keeping with the whimsical designs of the new jewellery pieces, all inspired by gardens. The main event of the evening was a terrarium making workshop, which turned out to be pretty difficult, but a lot of fun. It was such a great idea too, as it meant that all of us bloggers immediately had something to bond over and talk about. I met some lovely girls, including Layla from Sprinkles of Style, whose blog I have followed for years now. It's so nice when you finally meet someone in person who has become so familiar online. We also enjoyed champagne and canapés, although you had to grab them quick as there was a lot of soil flying around! Finally, terrariums complete, we were able to sit back, chat, and admire the jewellery. 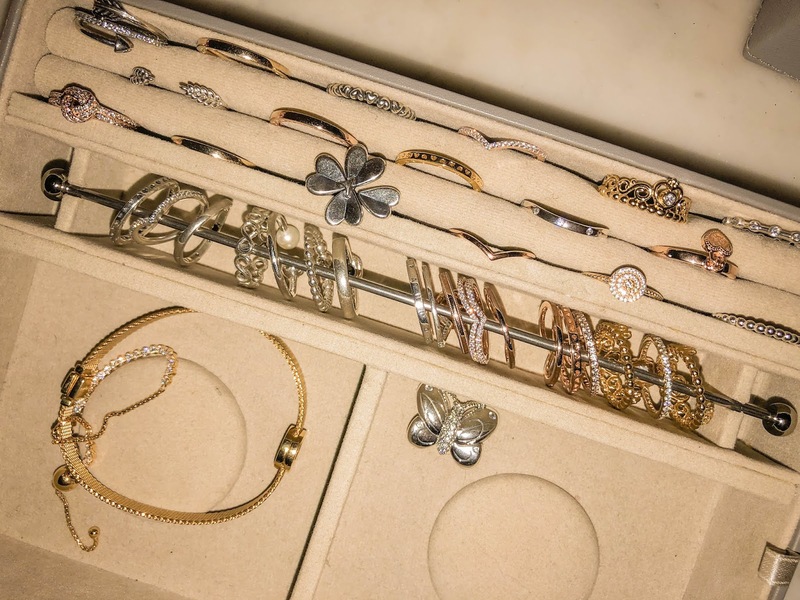 Floral designs are quite dominant in the collection, as are butterflies and four leaf clovers. I can definitely imagine layering the delicate pieces together to pair with pretty summer dresses and blouses. 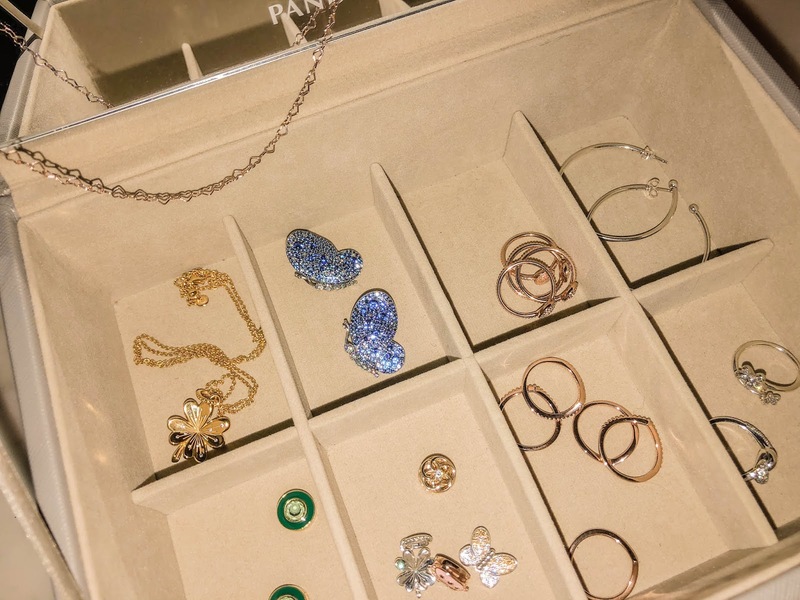 I was even given a ring to take home with me, which will make a beautiful addition to my jewellery collection and which I know I will wear often. I had an amazing time at the event so thank you so much Pandora for inviting me! 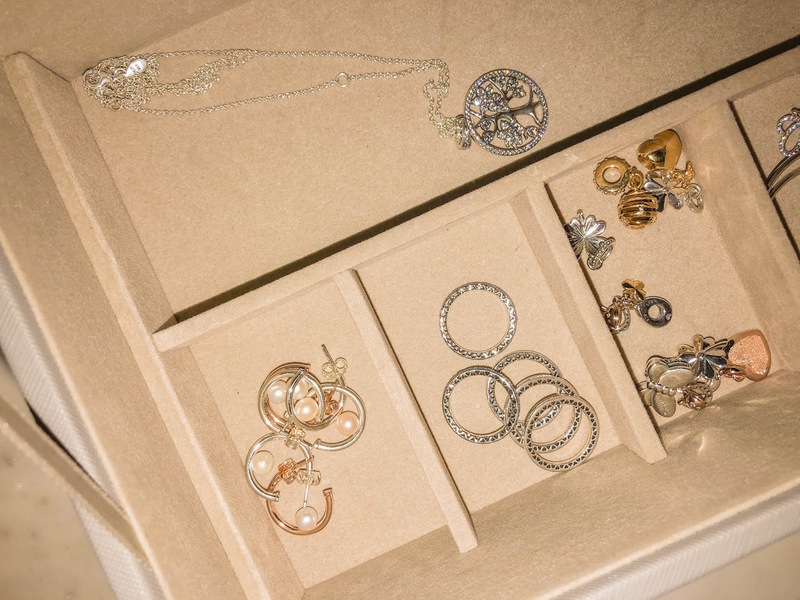 Do check out my video to get a flavour of the evening, and if you fancy shopping any of the jewellery, you can find it here. 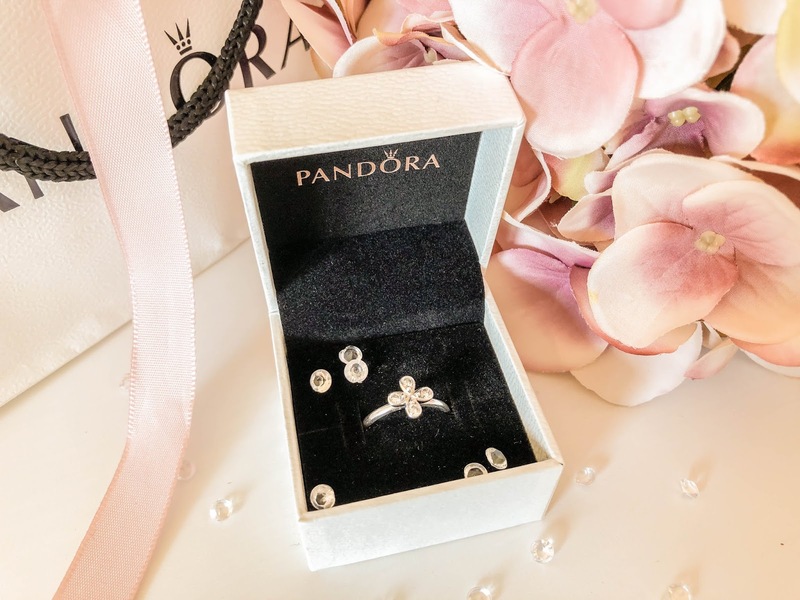 Are you a fan of Pandora jewellery? 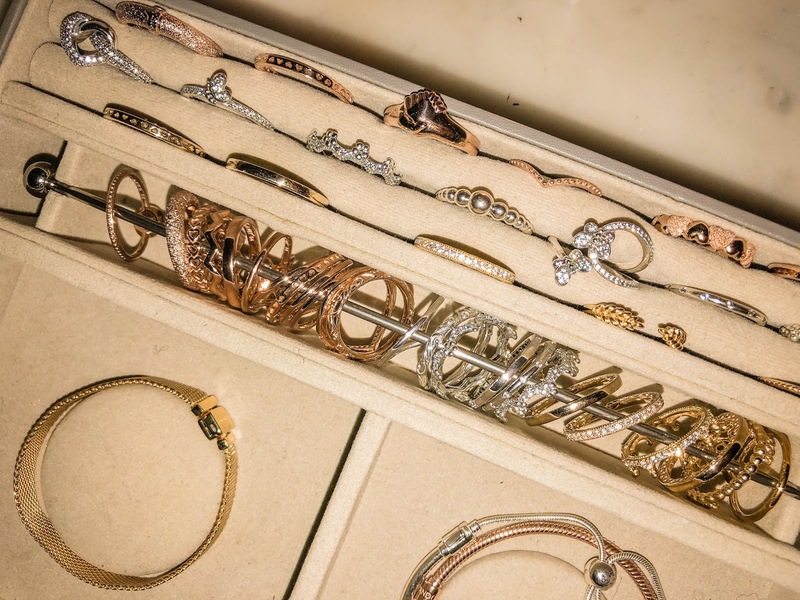 And will you be picking up any pieces from the new collection? With warmer weather on the horizon (hopefully!) I thought it was about time I started sorting through my wardrobe in search of existing pieces that can be reworn in the months to come. One of the joys of milder temperatures is the opportunity to wear more dresses, so that's where I decided to start! These four pieces all represent dress styles that are versatile, easy to wear, and perfect for swishing your way through spring. You can watch the video on YouTube or right here, but do head over to YouTube if you want to check out links to the dresses or similar pieces. Have you dug out your spring clothes yet? This post contain affiliate links, which are marked "AD". Read my full disclaimer here. If you saw my latest video, you'll know that I've picked up a few new makeup items recently, including an eyeshadow palette and a face palette. 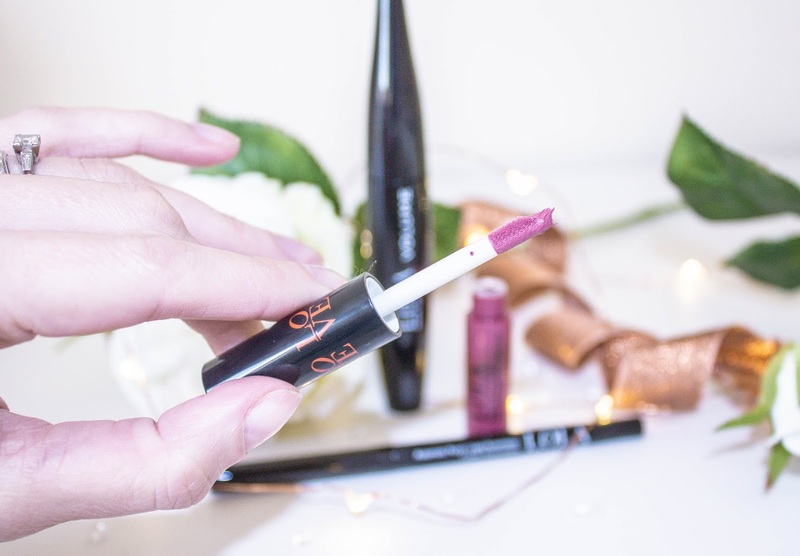 I'm so happy with them, both in terms of their quality and the selection of shades, that I can't see myself feeling the need to reach for any others throughout the spring and summer. So it seems only right that I dedicate a blog post to these two palettes, to show them off in a bit more detail. It's been such a long time since I last bought a new eyeshadow palette, so it felt like a real treat to open this one up for the first time. 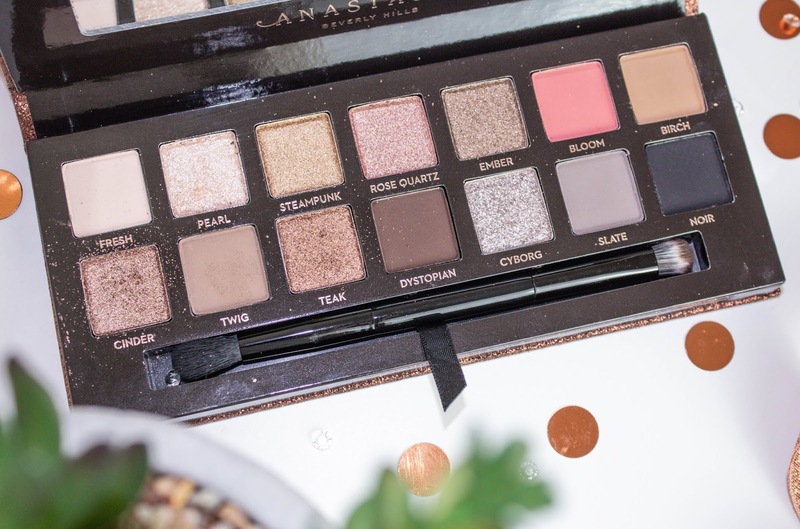 I went for an ABH palette because I've never tried anything from the brand before, and had heard so many good things about their eyeshadows from my fellow bloggers. 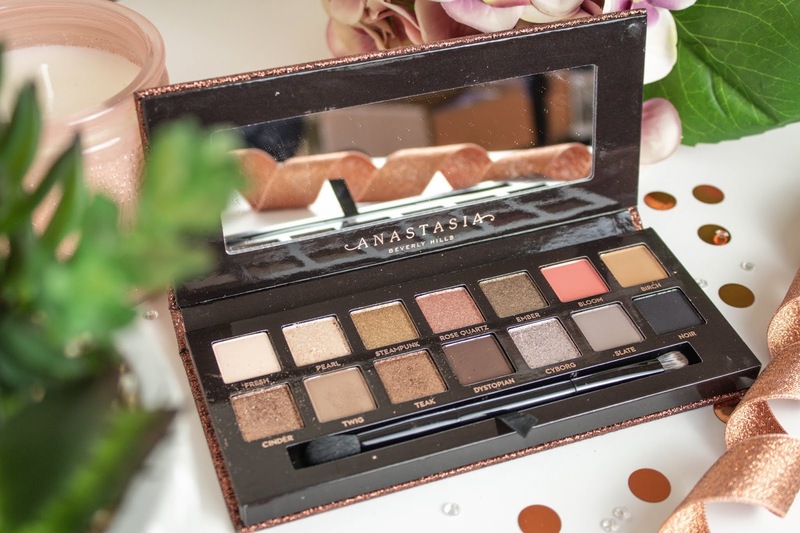 While I was tempted by the most recent launch, the Riviera palette, I ultimately decided that there were too many bright shades in it that I would probably never wear. Instead, I opted for Sultry, which contains a beautiful selection of neutral shades in both matte and shimmer finishes. The pigmentation of all the shadows is excellent, especially when paired with my usual Urban Decay Primer Potion (AD). 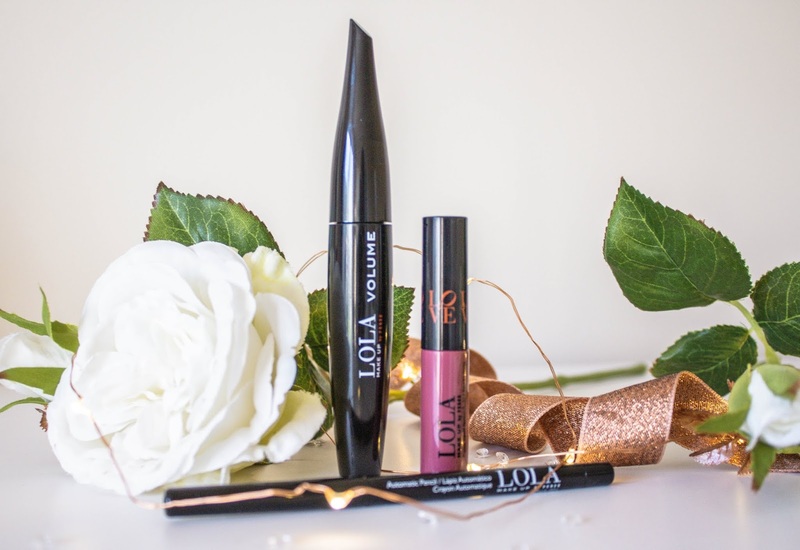 Buttery soft to apply, they blend like a dream and leave behind a beautiful silky finish. While I do experience a small amount of fallout from the shimmer shades, it's very minor and is easily swept away afterwards. My most worn combination so far is Twig through the crease with Cinder all over the lids, although I also love the slightly deeper Teak. 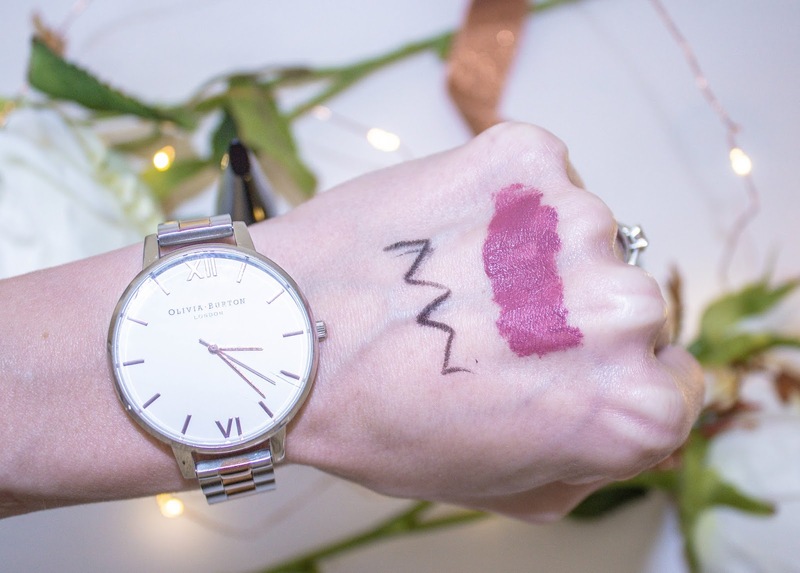 Rose quartz is the perfect soft pink shimmer, while the matte shade Bloom is absolutely beautiful and is what I will opt for as a lid shade if I want to do something different with my eye makeup than my usual metallic shimmer. Steampunk is more of a vivid, green toned gold, Pearl is ideal as an inner corner highlight and Fresh as a base shade or for highlighting under the brow bone. 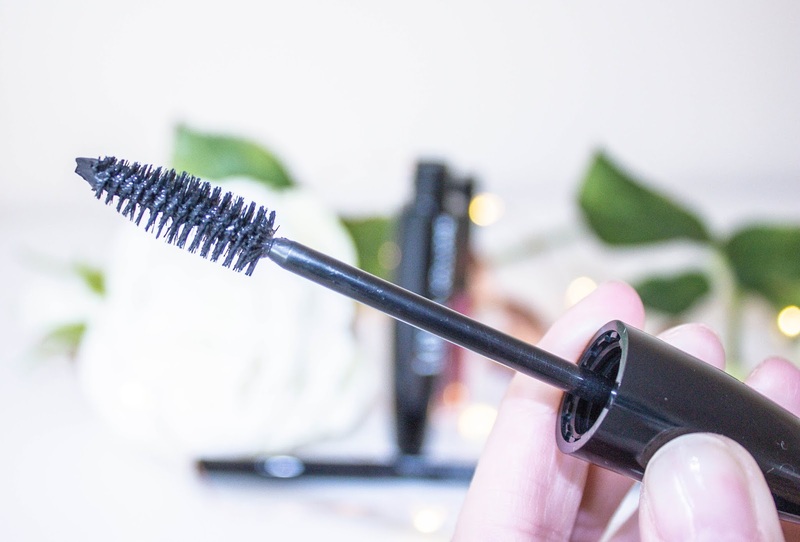 Noir is a gorgeous, soft velvety black, great for smudging around the lash line if you're creating something deep and smoky. 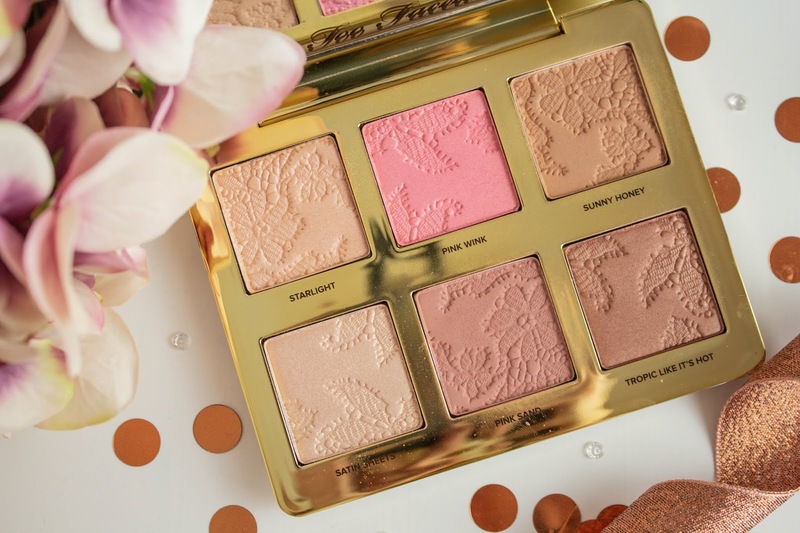 In short, there isn't a single shade in this palette that I wouldn't wear, and I can see myself using it exclusively throughout the spring and summer months. When you think about it like that, the £46 price tag almost feels like a bargain! 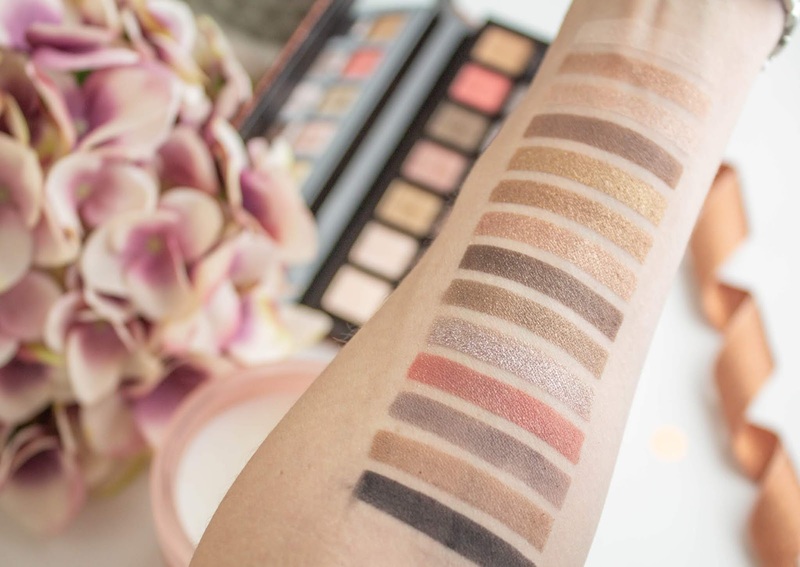 Those who have a well stocked makeup collection with plenty of neutral shades probably don't need this palette, but if you're like me and you have worn down your existing neutral palettes to within an inch of their life, Sultry could refresh your collection nicely. This face palette has been around for a while and is something that has been on my wish list for a long time. 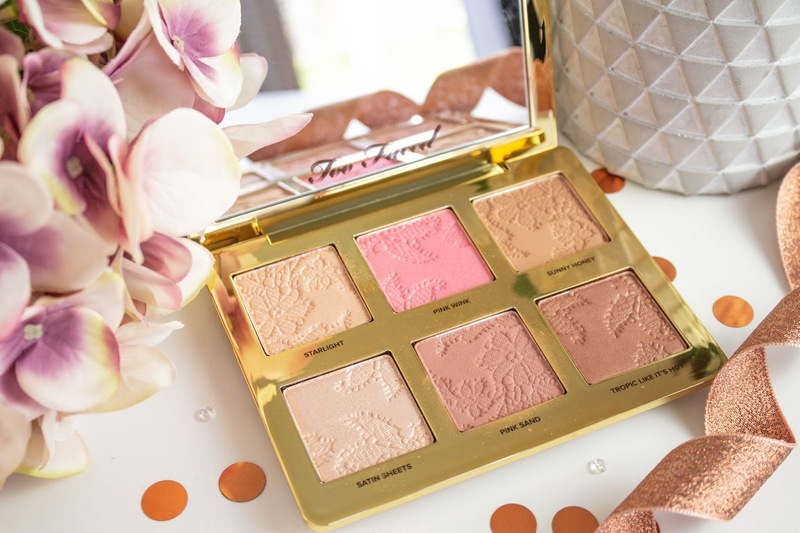 I'm a big fan of Too Faced as a brand and the packaging of this palette really is stunning - a real collector's piece. It even smells beautiful; the scent reminds me of Swiss chocolate. Containing two bronzers, two blushers and two highlights, once again I can't see myself needing any other face products throughout the upcoming season with these at my disposal. 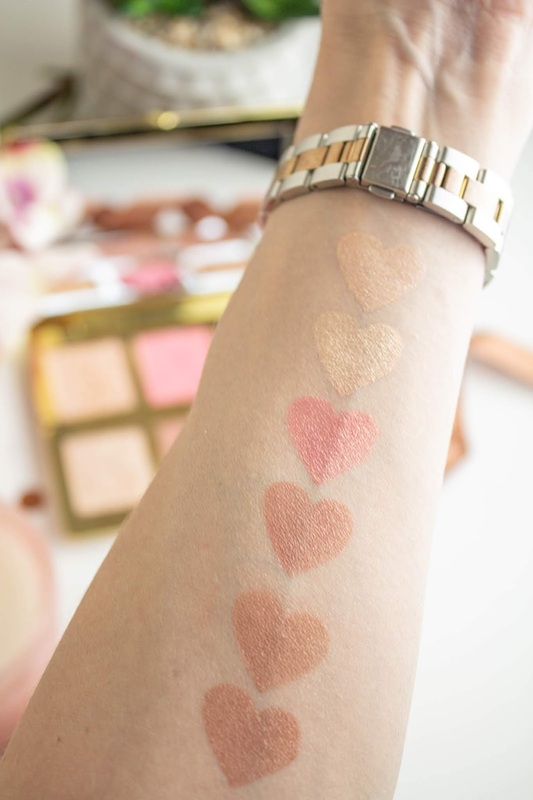 A light hand is essential when applying these products, especially the bronzers and blushers, as the pigmentation is so strong. However, they all blend really well, and the effect of wearing two or three of them together looks beautiful. Just about any combination works, with my current favourite being Sunny Honey, Pink Sand and Satin Sheets. The only shade I was concerned I might not like is Pink Wink, as it's so bright, but blended into the skin it's just lovely, giving you a healthy, radiant glow. The deeper bronzer, Tropic Like It's Hot, is one I think I will get a lot of use out of when I am (hopefully!) tanned later on in the year. 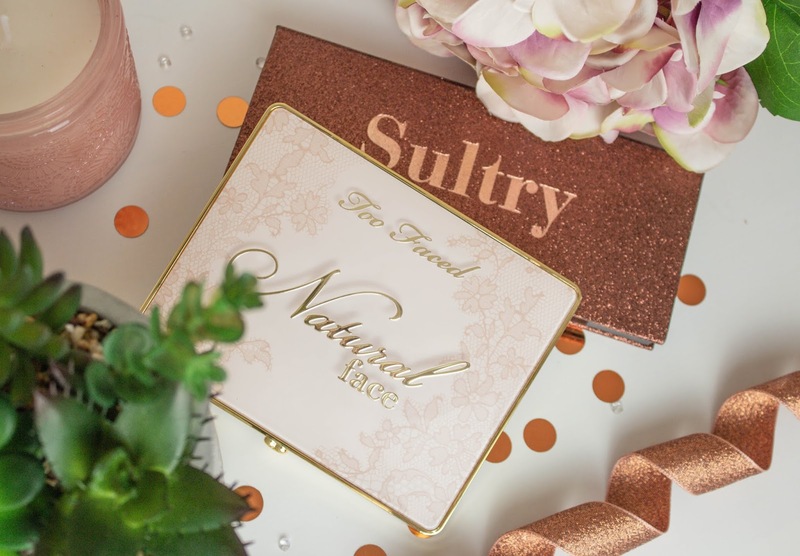 The Natural Face Palette is £35 and I think the price is worth it considering that the shades are such high quality, so wearable and presented so beautifully. It would also make an amazing gift for any makeup lover. Do you own either of these palettes? What makeup do you think you'll be reaching for the most through spring and summer? 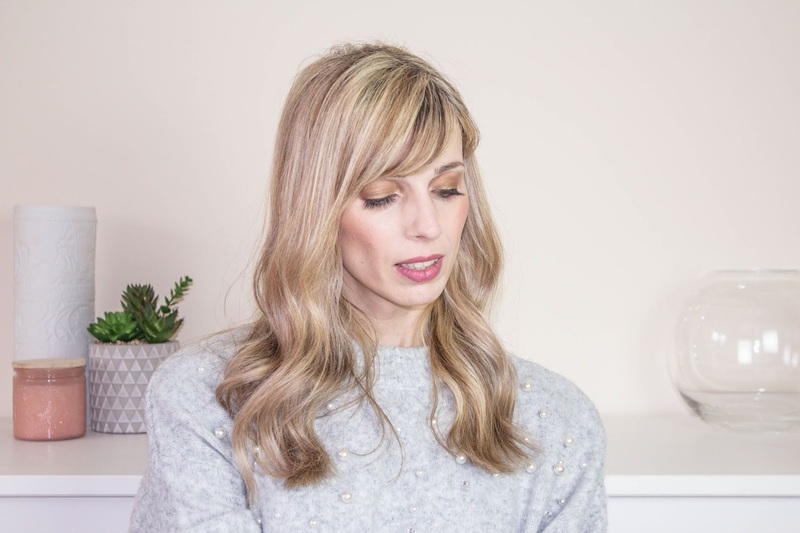 The topic of Instagram fraud seems to be popping up in the blogosphere more and more lately, not least earlier this month, when an explosive article was published (and subsequently began doing the rounds on Twitter), accusing several well known influencers of faking their following. The article produced Social Blade stats to support this claim, suggesting that the activity they illustrated was inorganic and indicated the use of aggressive follow/unfollow tactics, bot activity and the buying of followers and engagement. Just hours later, it was deleted, presumably due to legal concerns regarding the public naming and shaming. But lots of people had seen it and lots of people were talking about it, and we can be sure that it won't be the last we're going to hear on the subject. 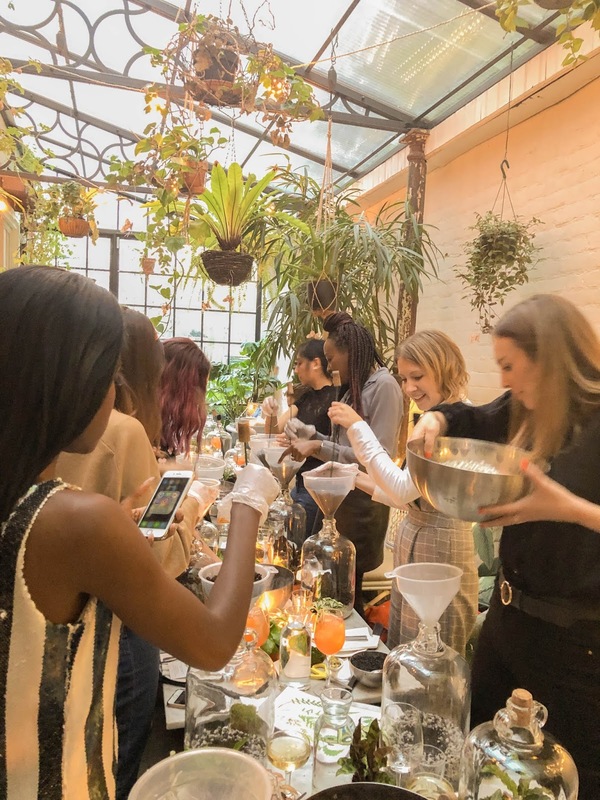 The ensuing discussions got me thinking about Instagram and my own activity on the platform, and I have to ask the question, where do we draw the line on Instagram fraud? Because - and this might be an unpopular opinion - I think that line is actually pretty blurred. There is no question that Instagram is important if you want to earn money as an influencer. I have been told by more than one PR company that I do not deserve to get paid for blog posts because I have fewer than 10,000 Instagram followers. Yes, you read that right. Those PR companies were seeking actual blog posts (you know, to be published on my actual blog) and could not have cared less about my actual blog traffic. All they cared about was how many Instagram followers I had. This wasn't the case when I first started blogging, and I'll admit it sometimes makes me wonder if I should bother continuing to write here at all, and whether my energies would be better spent focussing on creating purely visual content for the social media platform. So with brands and PRs placing increasing importance on Instagram, and with the algorithm seemingly trying to thwart us at every turn by prioritising posts from those who already have bigger followings, is it any wonder that so many of us are becoming frustrated with the whole thing? Is it any wonder that we're spending more and more time trying to figure out how on earth we can possibly grow on the platform? While I don't want to cheat, I do want to do everything I can to grow my Instagram following, and lots of other people feel the same. 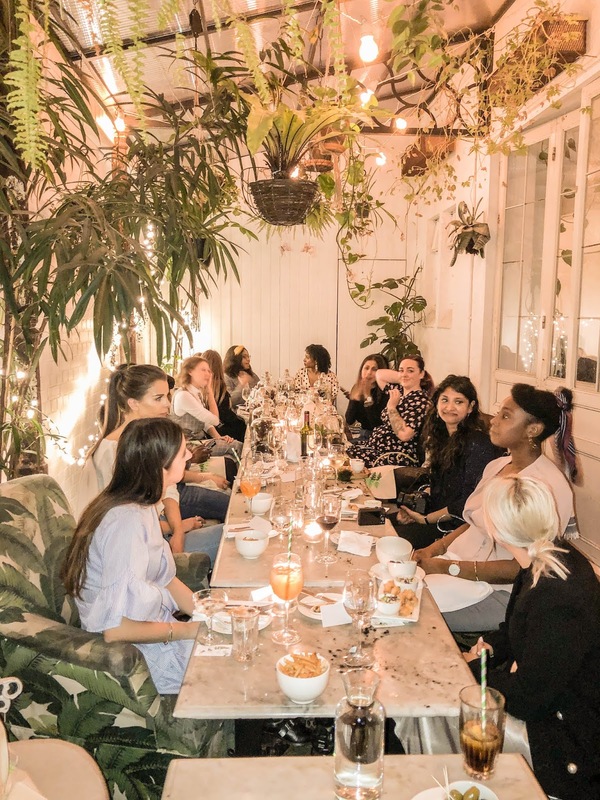 In the aftermath of the above-mentioned drama, I got thinking about Instagram in general, my own experience of the platform and the experiences of my fellow bloggers (it is, after all, a subject we discuss a lot!) I also came across this article on influencer marketing fraud, which is well worth a read. Not only does it stress just how serious Instagram fraud is, it also suggests that fraud could include more than just bot activity and fake engagement. In fact, it even names an activity that I and many of my fellow bloggers regularly engage in on the platform as potentially fraudulent. Shocking, I know. I'll come to that in due course. There is some behaviour on Instagram that is, without question, downright wrong, such as paying for fake profiles to be added to your follower count. The same goes for paying for fake likes and comments to make your posts appear more popular than they really are. One would like to think it's so obviously wrong that no one would have the barefaced cheek to actually do it. Although, as we all know, plenty of people do. Then we have the issue of using bots to like, comment and follow/unfollow a bunch of other accounts, in the hope that the owners of said accounts will like what they see and choose to follow you as a result. Following someone only to unfollow them as soon as they have followed you back is, in my opinion, incredibly rude. I hate it when other people do it to me (happens all the time!) and it's not something I have ever considered. There is also nothing worse than seeing automated comments like "Ooh, love the outfit!" on someone's heartfelt post about their grandmother's death. But what about liking? I spend a lot of time liking posts on Instagram anyway, in the hope that it will draw people's attention to my account, so would it really make that much difference if I paid a bot to do it to save myself some time? Of course, a bot would be able to reach more accounts than a human being within a given period of time, so that is an unfair advantage, but if someone has more free time to spend manually liking photos on Instagram than I do, is that just my tough luck? If I can afford to promote a post (legitimate, because the money goes to Instagram) and someone else can't, is that not also an unfair advantage? Just to be clear, I have never used a bot and have no intention of ever doing so, (for one thing, third party activity is forbidden by Instagram so it is simply not worth the risk of getting caught), but I do think it could be argued that they only do what a lot of people are doing manually anyway. As for the scale on which they're doing it, we know that Instagram places limits on how many actions you can take within a certain period of time. So if that isn't exceeded, then what is the issue? So we've established that I don't use bots. I am, however, a member of a comment pod. And according to the article linked above, this too could be classed as fraud, because the engagement it generates has been prearranged and is therefore not genuine. Now, I have an issue with this. I can't speak for other pods, but the one I belong to has become a close-knit group. We are always chatting on Twitter and genuinely want to support each other. So by liking and commenting on each other's posts, are we not being authentic? There are other bloggers I have become close to who are not in the pod. I actively seek out their posts whenever I can to like and comment on because, again, I want to support them and they do the same for me. This is surely the case for everyone out there with an Instagram account. Isn't building a community part of influencing/blogging? We all, also, have varying numbers of friends and family members who like and comment on our content just because it's ours. Who is to say where support ends and fraud begins? In an ideal world we would all be able to focus on creating quality content for our Instagram feeds and get rewarded by a steady growth in followers and engagement, but the reality is very far from that. While I absolutely believe that no amount of cheating will result in a large genuine following unless your content is good, I also know from experience that a certain amount of hustling is necessary on Instagram in order to get anyone at all to actually see your posts. I mentioned before that I like and comment on a lot of pictures in order to drive people to my own account. If this is the reason I'm doing it, is it fraud? While I would never like a photo I really don't like, or leave a comment I really don't mean, would I do it as often as I do if I wasn't trying to promote my own account? Would I be following as many people? The honest answer is no. Before I started my blog I had a personal Instagram page, set to private. Do you want to know how many pictures I liked with that account? None. I just looked at those that interested me. 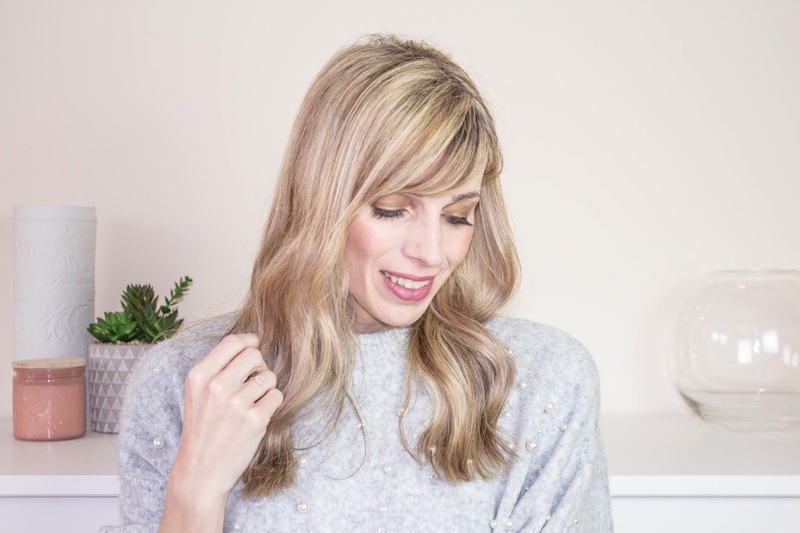 My behaviour on Instagram as a blogger is vastly different to what it used to be as a consumer, and I'm sure I can't be the only one. We all tend to think of Instagram as a place where our potential audience is just hanging around looking for influencers to follow. Well, they may be out there somewhere, probably with their accounts set to private, enjoying posts from the handful of influencers they have already decided they like. They aren't bothered about finding me and would probably rather I didn't thrust my content in their face. What Instagram is full of, however, is other people just like me who want me to follow them and consume their content. Something I hear a lot from fellow small bloggers is: "Well, my following may be small, but at least they are all genuine followers who really love my content!" Are they? I wish I could say that all of my current 4,000 followers are 100% genuine, but I can't. I might not have bought them or lured them to my profile by means of an automated like, but I have my fair share of wannabe bikini models, hairdressers based in Tennessee and people selling Arbonne products who are blatantly not interested in my content and only following until they realise I haven't followed them back. I am also being followed by dozens of bloggers who may or may not like my content, but whose chief reason for following me is because I am following them. So if a brand or PR company were to be interested in working with me on a sponsored Instagram post (lol), would I really be justified in telling them that all of my following is genuinely interested in my content? Can any of us really say that? I think a lot of people are sick to the back teeth of Instagram and the circus it's become. Every single day, I experience being followed and then immediately unfollowed by at least 2 to 3 people, being followed by people who are obviously not interested in my content and coming across accounts with poorer quality photos than mine who have upwards of 10,000 followers. It's absolutely maddening. But while it would be wonderful if there was some way of levelling the playing field, I don't think it's going to happen any time soon. The problem is a lot more complicated and runs a lot deeper than a few people cheating the system. It's a dog eat dog world on Instagram, and just by the very fact that so many of us are "trying" to grow a following there - in itself is a totally legitimate ambition - it makes the whole issue of what exactly constitutes Instagram fraud somewhat murky. What are your thoughts on Instagram fraud? Where do you think the line should be drawn? In my last vlog, I did a little bit of shopping in London, and tried on this pretty Victoriana style blouse. 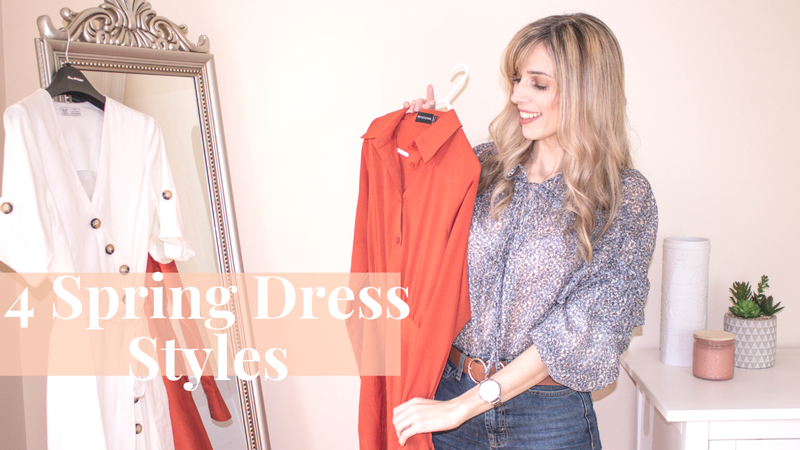 There's something to be said for filming yourself trying on clothes, because as soon as I got home and reviewed the footage, I couldn't understand why I hadn't bought it! Needless to say I put the situation right the very next day. Having acquired the blouse, it seemed like an excellent idea to use it as the subject of a styling video. I've put together three different looks based around it, all making use of clothes already in my wardrobe. Watch it over on YouTube if you want to check out any of the links, or right here if you prefer. 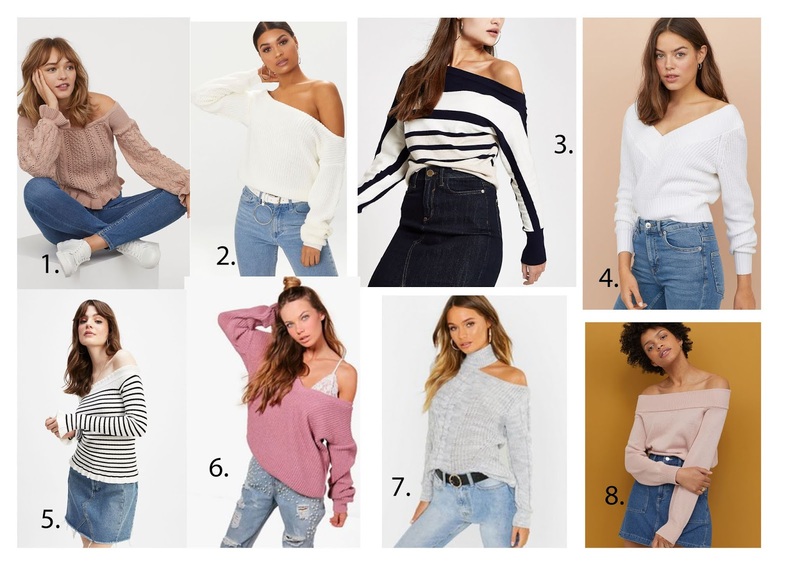 Have you been buying any new clothes for spring? This post contains gifted products and affiliate links, which are marked "AD". You can read my full disclaimer here. As an impatient person by nature, I have always loved the idea of superfoods. Eat one thing and get a bucketload of health benefits all at once? Yes please! Even better if it's something I actually enjoy, like salmon, broccoli... or pomegranate. Admittedly, I don't eat this delicious fruit that often, but it is something I love the flavour of. I also love the scent of it, and so the idea of using skincare formulated from this anti-oxidant rich ingredient definitely appealed. 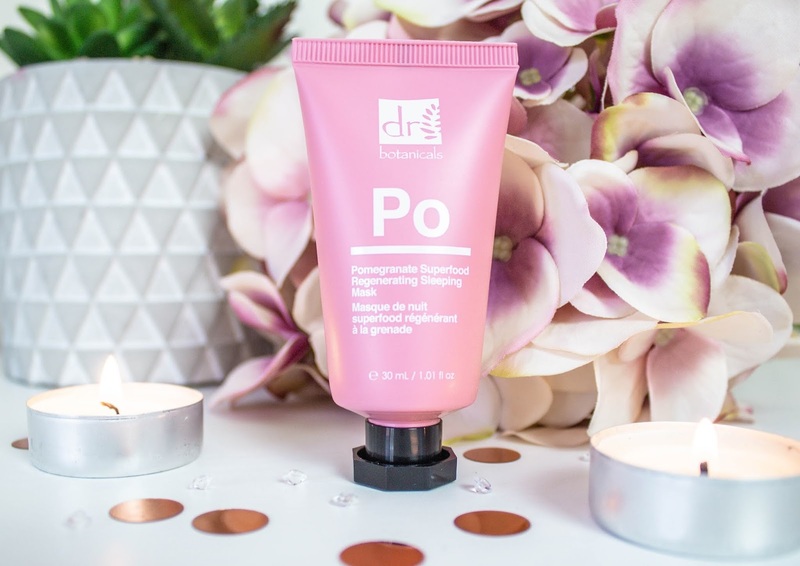 Dr Botanicals were kind enough to send me two products from their pomegranate range - the Brightening Eye Serum and the Regenerating Sleeping Mask. I've been trialling both over the last few weeks. I have been using this twice daily since receiving it and I honestly can't remember the last time I was this excited about a product! 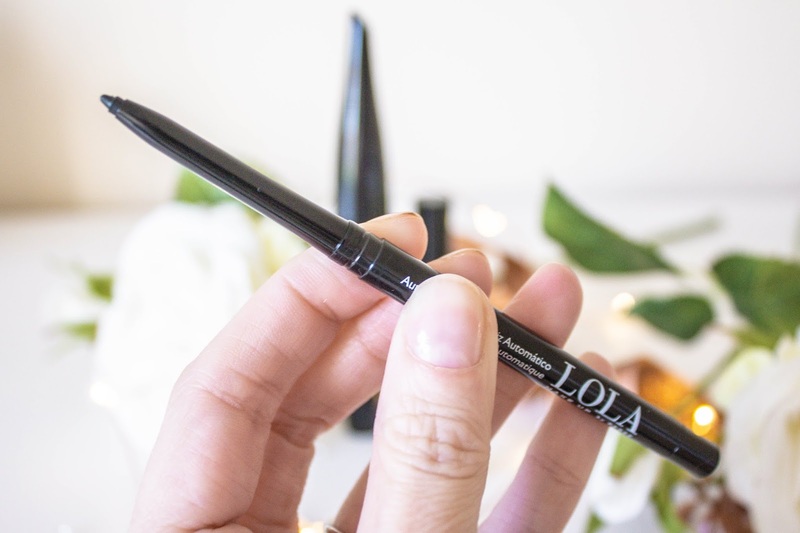 Packaged in a glass jar with a handy pipette applicator, this product feels light but very nourishing on the skin and is a real pleasure to use. It doesn't overwhelm with fragrance, but there is a faint scent of pomegranate which I find very appealing. A little of the product goes a long way, and I simply dab it lightly along my orbital bone as I would do with an eye cream. At first, I was worried that a serum wouldn't feel "enough" when compared with a cream, but this is in fact the most effective daily eye product I have ever used. Fine lines look seriously smoothed out, my skin feels hydrated and the area beneath my eyes looks brighter and more even. Incidentally, I had a facial just over a week ago and was told that my skin is more sensitive than I realise, and that it responds better to serums and gel type products than it does to creams. (I talked more about my experience in this video). This coupled with my very positive experience with the Brightening Eye Serum means I have found a new go-to - I don't see myself going back to regular eye creams any time soon. 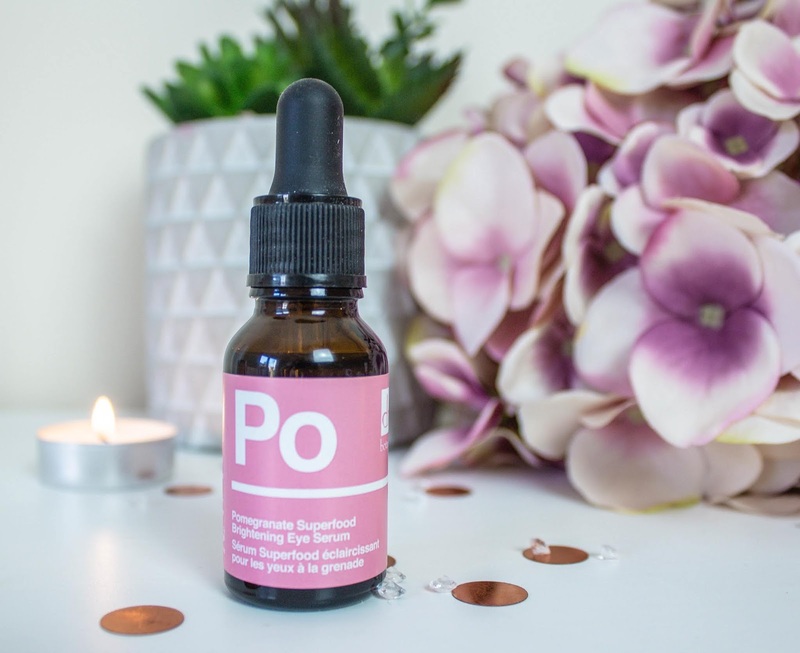 With the same delicate pomegranate fragrance as the eye serum, this is another product that feels like a real treat to use. It is creamy in consistency, so following the advice of my facialist I have reduced my use of this to once a week. I don't want to stop using it altogether as I haven't noticed any adverse reaction and have had some lovely results from it - namely smoothed lines and plumped and radiant skin. A fine layer of this before bed is all you need to wake up looking like you've had a week's worth of sleep. It's a lovely product and will stay in my routine until I have finished it as I am sure as a once a week treat it won't do me any harm! And for those of you who have no problem with creamy products, I would definitely recommend checking it out if you are in the market for a new sleeping mask. 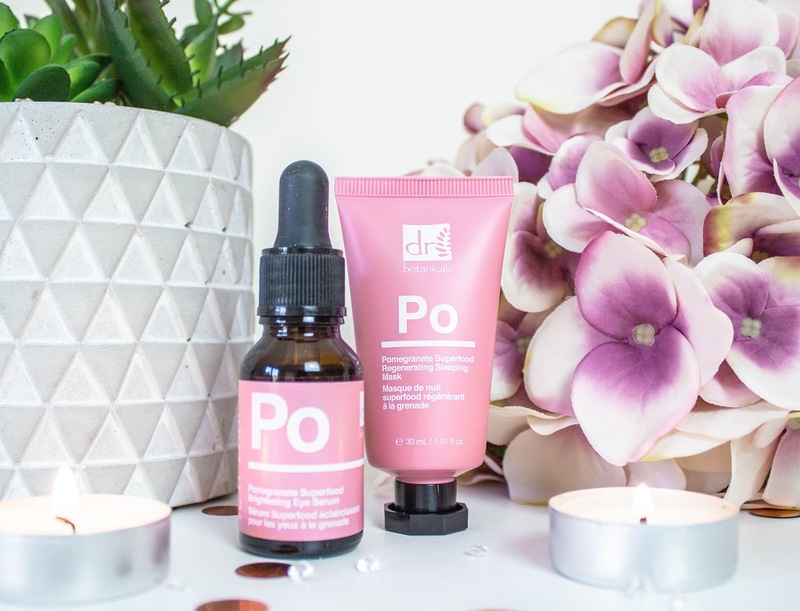 If you're interested in checking out these products or indeed any others from this lovely brand (I'm also a fan of the Moroccan Rose Facial Oil, reviewed here), you should definitely have a browse of the Dr Botanicals website. And if you fancy trying anything, enter the discount code KATELOUISE at checkout for 20% off. Have you tried these products? And what's your favourite superfood? My sister treated me to a spa day at the Bvlgari Hotel in Knightsbridge, London, as a belated birthday treat. It was such a lovely day, so I thought I would share the experience with you in video form! I also did a little bit of shopping, so keep watching to find out what I bought! Are you a fan of spa treatments?